BUDS Lab is a scientific research group that leverages data sources from the built and urban environments to improve the energy efficiency and conservation, comfort, safety and satisfaction of humans. BUDS Lab is in the Dept. of Building in the School of Design and Environment at the National University of Singapore (NUS). NUS is the #1 ranked university in Asia and is in the top 25 globally. Crowdsourcing Comfort: The Learning Trail – An NUS Project in collaboration with the Dean’s Office at the NUS School of Design and Environment. A progressive web application that collects subtle momentary thermal and environmental comfort assessments while occupants learn about the sustainability features of the new Net Zero Energy SDE4 Building. IoT@NUS Project - Smart Devices and Energy Savings in Buildings – An NUS Project with Assoc. Prof. Sekhar Kondepudi to develop Internet-of-Things (IoT) technology for building energy and indoor environmental performance. So far, this project has focused on the development of deployable sensor kits that measure the electrical performance of common commercial building loads in addition to measuring the factors that influence human comfort and wellness. Data-Driven Buildings (ResearchGate) – A website for data science tutorials for building performance analysts. The goal of the site is to educate building industry professionals about modern, open-source data analysis techniques so we can stop being afraid of too much data. ‘3for2’ Buildings: Achieving Material, Energy & Space Efficiency (ResearchGate) – Collaboration with the ETH Zürich Chair of Architecture and Building Systems – Through systems integration, this project builds 3 floors in the space of 2 while achieving 2 times the performance. 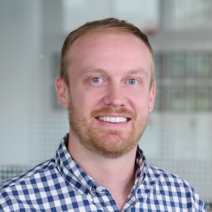 Dr. Clayton Miller (ResearchGate)(LinkedIn)(GitHub)(ORCID)(Publons) is an Asst. Professor at NUS in the BUDS Lab. He was formerly a researcher at the Future Cities Lab and a fellow at the Institute of Technology in Architecture at the ETH Zürich. He holds a Doctor of Sciences (Dr. sc. ETH Zurich) from the ETH Zürich, an MSc. (Building) from the National University of Singapore (NUS), and a BSc./Masters of Architectural Engineering (MAE) from the University of Nebraska - Lincoln (UNL). He is the former CTO of Optiras Pte. Ltd, a Singapore NRF-funded start-up, a former Fulbright Scholar to Singapore at NUS and a Walter Scott Jr. Scholar at UNL. 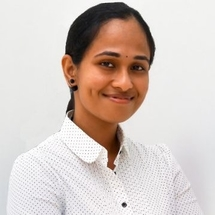 Dr. Jayashree Chadalawada (ResearchGate)(LinkedIn)(GitHub) is a Post-Doctoral Researcher at NUS in the BUDS Lab. She holds a Ph.D. in Hydroinformatics from the NUS Dept. of Civil and Environmental Engineering, a Master’s of Technology (MTech) from the IIT Bombay, and a Bachelor’s Degree in Civil Engineering from the Government College of Technology, Coimbatore in India. Dr. Chadalwada is an informatics expert that is working on measuring the impact of social behavioral change on building performance. 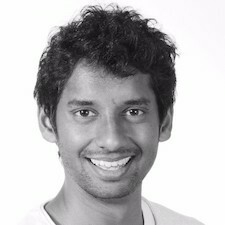 Dr. Prageeth Jayathissa (ResearchGate)(LinkedIn)(GitHub)(ORCID) is a Post-Doctoral Researcher at NUS in the BUDS Lab. He holds a Doctor of Sciences (Dr. sc. ETH Zurich) and Masters in Energy Science from the ETH Zürich and a Bachelor’s Degree in Mechanical Engineering from the University of Canterbury in New Zealand. Dr. Jayathissa is the equivalent of the BUDS Lab Oberassistent (Senior Researcher) as he ties together all the technologies being developed. He is an expert in prototyping, engineering, design, and computer science. Tapeesh Sood (ResearchGate)(LinkedIn)(GitHub) is a Research Associate at NUS in the BUDS Lab. He holds a MSc. in Integrated Sustainable Design from the NUS School of Design & Environment and Bachelor’s of Architecture from Gujarat University in India. Tapeesh is a 3D expert and is working on prototypes of spatio-temporal data visualization and a project to collect personal IEQ data in clever ways. Mahmoud AbdelRahman (ResearchGate)(LinkedIn)(GitHub) is a Ph.D. Researcher at NUS in the BUDS Lab. 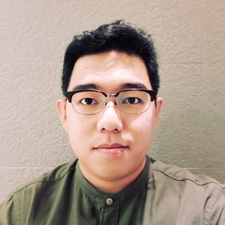 He is co-supervised by Dr. Adrian Chong and is a key member of Dr. Chong’s project: Integrated web-based platform for lifecycle building energy modeling. He holds a M.Sc in Architectural Engineering and B.Sc in Architecture from Mansoura University in Egypt. 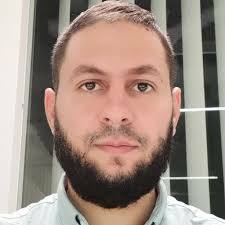 Mahmoud is an expert in building information modelling (BIM) and the development of tools and machine learning techniques to tie the virtual and measured world together. Matias Quintana (ResearchGate)(LinkedIn)(GitHub) is a Ph.D. Researcher at NUS in the BUDS Lab. He is co-supervised by Prof. Tham Kwok Wai and is affiliated with SinBerBest 2. He holds a Master of Information Systems Management from the Heinz College at Carnegie Mellon University and a B.Sc. in Electrical Engineering from the Pontifical Catholic University of Peru. 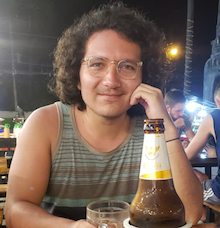 Matias is a combination computer scientist and hardware hacker and is using these skills to implement wearable tech in the built environment. Irvin Tang Kaijun (ResearchGate)(LinkedIn)(GitHub) is a Ph.D. Researcher at NUS in the BUDS Lab. He is co-supervised by Dr. Wang Qian. He holds a B.Sc. in Project & Facilities Management, Honours (Merit) from the NUS Dept. of Building. He is an expert in identifying and documenting construction and operations defects and is working on elegant ways of using deep learning and image recognition to enhance the building industry. 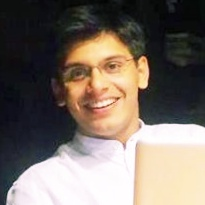 Dr. Pandarasamy Arjunan (ResearchGate)(LinkedIn)(GitHub) is a Post-Doctoral Researcher at the Berkeley Education Alliance for Research in Singapore (BEARS) and is in the Thrust D: City-Scale Analytics project with the BUDS Lab and Prof. Kameshwar Poolla. 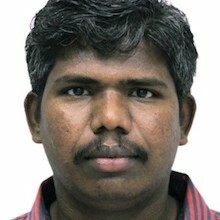 He holds a Ph.D. in Computer Science from the IIIT-Delhi, a Master of Computer Applications (MCA) from the Madurai Kamraj University, and a Bachelor of Science in Computer Science from the Manonmaniam Sundaranar University in India. Dr. Arjunan is exploring scalable city-scale analytics techniques for benchmarking buildings. Do any (or all) of these situations describe you? You’re an architect, mechanical or electrical engineer, energy simulator, urban planner, or any other type of building industry professional who has an intense curiosity in how huge amounts of temporal, spatial, and meta data about buildings and cities will change the way we design, operate, and inhabit these entities. You’re a data scientist, statistician, programmer, or electronics engineer who has a strong curiosity in how IoT, web technologies, and visual analytics can be applied to buildings and cities. You’ve considered getting a Master’s or Ph.D. degree while learning more about data science. Or you simply want to take a leave of absence, apply for a Fulbright (or other research) grant, explore some cool stuff, etc. for six months or more. If so, please (contact Dr. Clayton via email) to discuss upcoming projects. Research funding, scholarships, stipends, and grant affiliation are available. Previous projects that exemplify curiosity in any of the above points are desirable.